Who is the AEGEE member of the year 2017? Which antenna, which project was the best? What were the highlights of the year? And what will 2018 bring? The Golden Times asked more than 70 locally or Europeanly active members. In this sixth edition: read what Ilknur Demir, Federica Soro, Ruben Verboon, Zografia Lepoura, Daniel Llamazarez Gallego and Ola Miklasinska said. 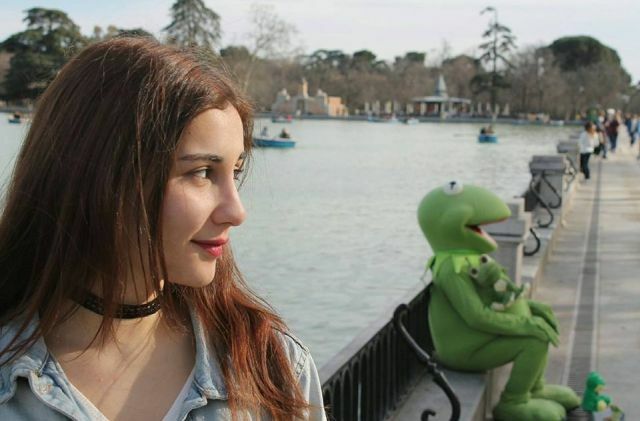 İlknur Demir became famous for creating the Politics Interest Group this year. İlknur Demir: The creation of POLIG was the greatest highlight for me. I am experiencing a whole new area of AEGEE now; I have never had an idea how to moderate an interest group before and I can say that it is pretty exciting! I learned a lot from my past three years in AEGEE, yet it seems like there is no end to learning in this platform. I am still developing myself and learning a lot from this association; therefore as everyone says: #ThankYouAEGEE! Moreover, as I’ve spent six months in Spain this year, I had the chance to attend the events and meet a lot of AEGEEans there and they have covered a huge part of my year. They are all amazing and really active, and I wish them a great year ahead! Firstly, NWM Bilbao changed my perception a lot, as I thought the Network Meetings were somehow inefficient. However, during this event the organization and the content was better than I had ever imagined. The content was covering a lot of learning and discussions; it was really practical as well as encouraging for a lot of people. Therefore, I am sending huge hugs to AEGEE-Bilbao and Alejandra. Secondly, Agora Catania was my second Agora and I had a better understanding of how an Agora works. Moreover, the organizers’ team was highly energetic and hardworking – they captured everyone’s heart! Thirdly, even though it is very recent, I personally congratulate AEGEE-London, AEGEE-Sheffield and AEGEE-Manchester for organizing such a good thematic event. I was not a participant myself but I have closely followed it. It is a great comeback for those locals and a great thematic event for discussing the very hot topic of Brexit. I have never told her myself, however, I think the most outstanding member is María Ballesteros Melero. She did a great job bringing the gender equality talks to our association. These issues are more visible now. We are well aware that we had many problems in the association considering gender equality, and her enthusiasm on working on this matter is one of the most outstanding initiatives for me. A lot of antennae are doing a great job. However, as I cannot follow all the amazing things they’re doing, I will mention the ones that have impressed me the most. I think everyone is pretty much excited to see AEGEE-Paris back, right? They started with full-speed, and now they are trying to grow and get stronger than ever! The members are trying their best to organize events, especially Lila Quaile, who is full of great ideas and enthusiasm, and they are open to any help coming from anyone. With this speed, I think they will become one the best locals in a short-time. Secondly, I am amazed by the fact that AEGEE-İstanbul is going to organize an Agora. 2016 was not the best year for Turkish-speaking locals, we were having problems attracting participants to come to Turkey in this political environment. After such a year, AEGEE-İstanbul rolled up their sleeves to organize an Agora in İstanbul, which is the most beautiful city I have ever been to, therefore their enthusiasm is something that needs to be applauded. Reform, reform, reform. Since last year, everyone has been trying to come up with new solutions to work on our problems such as lack of efficiency, less thematic events, fewer participants in SUs or whether we need an Action Agenda or not. I don’t think it is wrong to say we have a crisis, and I can only hope that we solve these problems in the framework of logic, without radicalization. We can either take this as an opportunity or worsen the things. We don’t need to be pessimistic though, I believe we will make the best of it. As I have a love affair with POLIG, I will do my best to make it better for its own sake as well as for the sake of our organization. We already have a lot of possible thematic events in our minds for 2018, as I want to be there for what is necessary to accomplish what we have in mind. Federica Soro took over The AEGEEan magazine. Federica Soro: Definitely, deciding to apply as Editor-in-Chief of The AEGEEan. It has been an unexpected and amazing journey, it taught me a lot and it gave me the chance to get in touch with several outstanding people. Agora Enschede is a big part of it, since it was my first statutory event in a position at the European level. Even though I had the pleasure and opportunity to be in charge of the magazine, I am still a rather new member to AEGEE, and I feel there is so much to discover. What I especially like is listening to experienced members talking about their memories from the past and their vision for the future, I always go back home with a big baggage of inspiration. The question line and the presidential debate at Agora Enschede – not one of our finest moments. I am a firm supporter of leading by example, and that is not the example I’d like to be passed onto the next generation of AEGEEans. AEGEE has come a long way and has done wonders in bringing cultures together, but at the end of the day there is still a lot of room for improvement in the field of honest, effective, everyday communication. While looking at the bright side, I would like to mention the Safe Person initiative at Agora Catania. 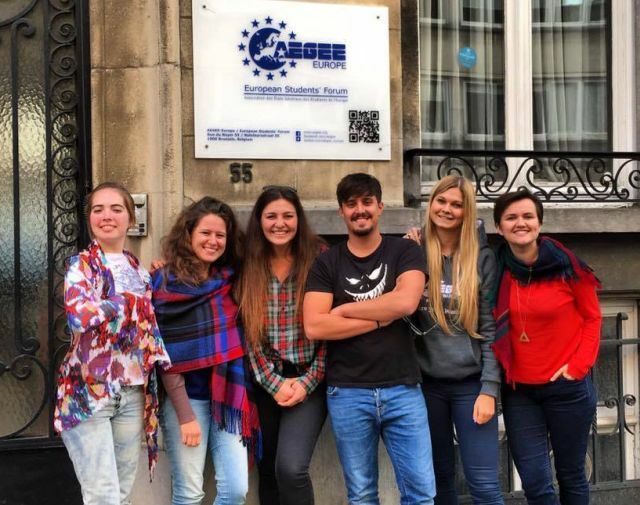 I always felt safe in AEGEE, and I tend to assume that I am in a family-like environment, but it is clear that this is not always true for everyone. I applaud this initiative for shedding light on a somewhat hidden problem and for making AEGEE a safer place by just saying “I am here for you if you need someone”. Disclaimer: I am completely biased in my judgement. 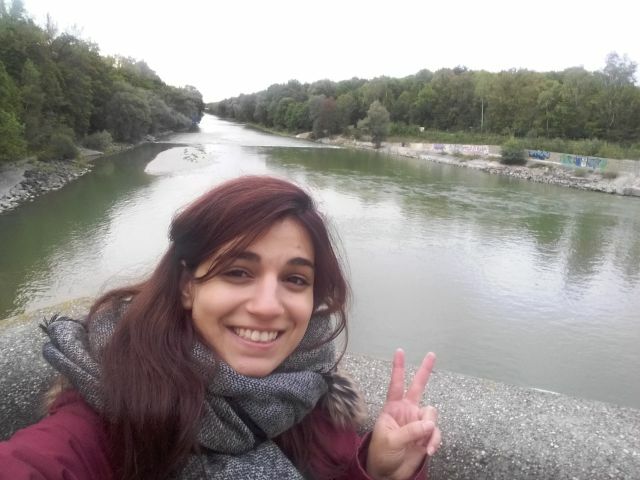 Vasiliki Andrioti, she has so much positive energy, and she is always undertaking new challenges, I am sure she will be one of the names AEGEE will remember. Francesca Zorcolo, she doesn’t even know what she is capable of, she is able to make people accept her not-so-soft dictatorship with a smile on their face and she will achieve great results. Last but not least, Erika Bettin, her experience and insights guided me through my own path with The AEGEEan and I saw her sharing her knowledge and supporting everyone around her, never missing an occasion for her sharp remarks. AEGEE is lucky to have her. AEGEE-Enschede, AEGEE-Catania and AEGEE-Zagreb did a wonderful job in organising our statutory events, I believe they deserve the title of outstanding locals. Probably Europe on Track, their choice of civic education as their main topic and the kick-off conference in Budapest really gave added value to this project. On a more general note, I see a lot of potential in AEGEE, but we do need to work harder to polish raw edges and shine as the gems we are underneath the surface to have a real impact on society. 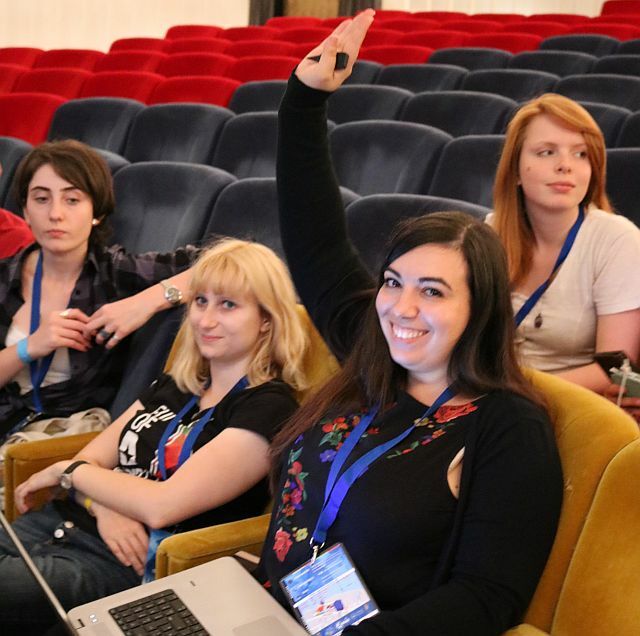 In addition, we need to invest more on human resources and training, because we go nowhere without people willing to commit to AEGEE’s project. I personally hope 2018 to be the year of human resources, and I have big hopes for the Youth Development Working Group and the European Citizenship Working Group. Moreover, I can’t wait to see the AEGEE Day making a big come back with the topic “Stepping Stones”. We do need to rethink the way we attract and retain new members, and how we activate them on the local and European level, through a process of studying our vision and mission and evaluating whether the path we are on, after more than 30 years, is still adequate to the challenges the European project presents now and is still attractive for society. I don’t have any, I am planning to take a step back and focus on my professional career at the moment. But at the same time, I might be also already considering to attend Agora Istanbul. Only time will tell. I will be in Milan with close friends – more like family – from university. We live scattered through Italy and Europe, and that is one of the moments when we manage to get together in one place. Ruben Verboon: There were so many amazing moments this year that it is hard to choose just one as my personal highlight. I attended and organised many local events, I went to my first agora, my first SU, I got elected in the board of AEGEE-Utrecht, and made so many new friends. However, if I really have to choose one than it would be the event that really started my AEGEE experience – the New Year’s event of AEGEE-Bergamo. It was my first event and the start of an amazing year! The election of Loes Rutten as President of AEGEE-Europe. 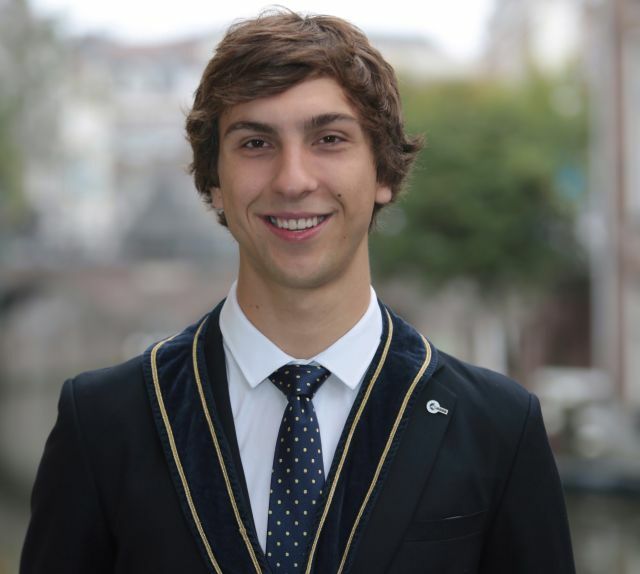 As a member of AEGEE-Utrecht I was proud that one of our members got elected into the Comité Directeur. I didn’t have to think long for this one. Julia de Lange! As our President and Assessor External Affairs she was the running force of our local. Not fulfilling just one, but two board positions. She had to overcome many challenges and setbacks during the year, but she always stayed positive and kept going on. This resulted in a great and exciting year for AEGEE-Utrecht. We organised a New Year’s event, a Summer University, the Symposium Youth & Mental Health and many local activities. Julia was one of the leading people that made it all possible. With all her experience she is currently helping us as a member of our advisory board. She is definitely someone I look up to! There were many outstanding antennae in 2017, but for me the most outstanding was AEGEE-Bergamo. Organising an amazing New Year’s event, a Summer University and an Agora pre-event with AEGEE-Moskva for Agora Catania. All of those events were organised perfectly, which just shows how dedicated and skilled the members of AEGEE-Bergamo are. I believe they will keep astonishing us in the coming years. One of the projects I look forward to in 2018 is Europe on Track 5, bigger than ever and with the amazing topic sustainability and climate change. I can’t wait to welcome the ambassadors in Utrecht. I also think it was a great idea to make to whole project C02 neutral – a great initiative that fits with the topic. For the most part of the year I will be in the board of AEGEE-Utrecht. During this time I want to make structural improvements to the local, but most of all make sure that our members have an amazing time and enrich themselves with all the opportunities that AEGEE provides. After finishing my board year I would like to get more active on European level. Like last year I will spend my New Year’s eve on an AEGEE event. This year I will be attending the AC/TC event of AEGEE-Kyïv – together with many AEGEEans somewhere in the Carpathian mountains. Zografia Lepoura: There are so many personal highlights! I will mention three: being part of the moderator’s team of the LIG, which helped me develop as an AEGEE member and as a person; the last minute application to the Summer University Open Call, which showed me I should always apply for an SU because it’s always worth it; and last but not least the Network Meeting in Passau, which was incredibly inspiring and motivating. I loved the EPM in Zagreb. It was my first EPM; I liked to see how the Action Agenda is formed and how our organization works. Also, the thematic part gave room for passionate discussions, as the topic of populism and euroscepticism was very topical due to several political events. Erifyli Evagelou, because she is active in so many ways that I have lost track of the European bodies she is part of! Despite all this work she still was an incredible mentor to me as a board member this year. Also, Spyros Papadatos for his hard work as a Network Commissioner. He is always ready to help and build a connection with locals and the people behind them. AEGEE-Zagreb, for their team spirit and hard work that gave us this wonderful EPM. Ι loved the idea of the Human Right’s Days 2017 because it’s an Action Day or Action Week calling for activities and discussions, and also a product of the collaboration of so many different bodies: three interest groups, three working groups and two committees. The activities gave the locals the chance to examine the topic from many different sides. For similar reasons I love the AEGEE Day – and because of course it is the day of AEGEE! Hopefully there will be more initiatives like that in 2018. Definitely the Autumn Agora in Istanbul! After all the social media hype and excitement I think this year many of us will keep an imaginary countdown for this event. I hope to remain a part of the Language Interest Group. We have some new ideas for next year that we want to introduce. Furthermore, I can’t wait to finally be active again in my home antenna, AEGEE-Athina after my Erasmus semester in Germany. This year for the first time I will spend New Year’s night with AEGEE spirit and friends: partying in a train going straight to Siberia with the amazing AEGEE-Moskva and AEGEE-Tyumen in their event! Daniel and his Working Group. Daniel Llamazares: The AEGEE-Groningen Agora pre event. It was the perfect atmosphere, surrounded with the most diverse group of people. That was a really happy moment for me. I am sorry Mario Galea, but I must say that Lissette won us, but we can start the circle again! Agora Enschede, it was so intense for me. It was hard so see some things happen during the Agora, stressful dealings with others. Despite the fact that I was quite lost most of the time, because it was my first Agora where I had to deliver sessions and present reports, it was really fun. Among my top three from already some years ago it’s always her, Laura Perez, the shiny star of AEGEE-León with her unstoppable career. The people that already worked with her know about what I am talking about. Also Maria Smirnova did an awesome work with her Policy Paper, I am really glad to be part in a team with her. And last but not least I would mention all these new members with such power and AEGEE spirit that intoxicate us older ones with their motivation and make us keep working for our AEGEE dreams. I always think that we need to mention the antennae that organize the agorae such as Enschede and Catania; on the other I will not forget the time spent with AEGEE-Groningen this year, a lovely antenna that everybody must visit! Europe on Track was a project that really made a big step forward last year, becoming a really serious project inside our organization. Also for working groups such as the Civic Education Working Group 2017 was an awesome year. I don’t want to forget the efforts made by some members of the Youth Mobility Working Group, where I was coordinator. It was trying to help raising awareness about the importance of mobility projects for youngsters as the SU or Erasmus+. I really think that most of the working groups and projects were outstanding and it is really hard to single out one in particular, but how can you not name projects like the Summer University, which is always our biggest project, or forget about the Language Interest Group that is always there with such a huge quality initiative. I would love if “breaking borders for everybody” became again a big topic in AEGEE, but I really think that nationalism is becoming again stronger than ever with some hotspots around Europe. At the moment I am just thinking about my charge as advisor in AEGEE-León, helping the board to have a successful year, and go a step forward in the quality and management know-how of the local. I have always been interested in Youth Mobility and always will be, so the idea of doing something about it specifically is always there. I will spend it in Lviv, with some AEGEE friends. I couldn’t be more excited, celebrating New Year in another country, in a city that I have never been to before. No one cuts badges like Ola. Ola Miklasińska: There were three super important things for me this year and one somehow led to another. First, participating in EPM Zagreb. I came back extremely inspired and motivated, exactly in the moment when I needed it the most. Second, choosing AEGEE-Kraków as a hosting local of Spring Agora 2018. Third, taking part in Europe on Track 4 as a local organizer in Kraków and then joining the Project Team of the fifth edition. After another busy year in AEGEE, I feel I am exactly in the place I wanted to be. And it feels great! Besides all statutory events, emotional elections and so on I would like to mention the support that AEGEE-Europe gave to young people in Poland or Romania while the political situation in these countries was tense. When you gather all together during the Agora or any other event, it’s obvious that you feel being part of the organisation, its spirit and support. But to feel it when we all come back to our countries and local problems, it’s something different which I appreciate a lot. I really tried to name some people but no way I can choose “the best 3”. Seems like we have too many awesome people in AEGEE! 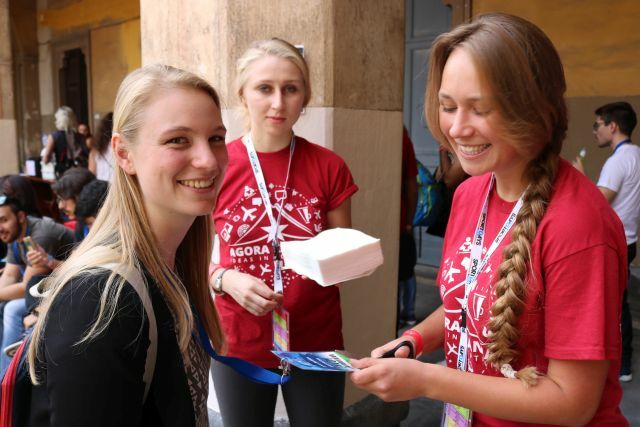 AEGEE-Zagreb, because what they did for the EPM was simply amazing! Starting from an awesome PR for their project through the atmosphere during the event and giving us a possibility to look into populism which is such an important topic nowadays. I think I have never come back so motivated from any event as from this EPM! Seeing them on the stage, not so many people but really looking like one big family, made me have a huge respect for them. Of course AEGEE-Catania for, no surprise here, a great Agora and showing us Sicily at its best! I was a helper during Agora Catania and the way that all organizers treated us was just incredible, because they truly made us a part of their family from the very first day. And they even made non-Italian speakers speak Italian! I would also like to mention AEGEE-Gdańsk, not a very big Polish antenna, which organised an outstanding Spring Network Meeting! Unfortunately, I wasn’t able to join, but I heard plenty of positive comments, I saw their hard work and dedication to make this event possible and I was truly impressed. Especially huge congrats to the President Wiktoria Rajek who breathed new life into AEGEE-Gdańsk during her board term! Definitely the Civic Education Working Group, for the whole year of activities with a very successful conference in Budapest or the Travelling Tablets idea. I am also extremely happy about the Youth Development Working Group and am looking forward to more of their activities – and #sexybrains! Personally I also really like the way the Language Interest Group is working, I see them active since I have joined AEGEE, always with some cool videos and what’s more important – the European Day of Languages. And of course, I have to mention Europe on Track, the 4th edition that was already an outstanding project for me and Europe on Track 5 in which we are aiming really big! We introduced a lot of new ideas as having three teams instead of two or a crowdfunding campaign and I am really looking forward to the journey itself! Because of Europe on Track 5, I really hope we will give more attention to sustainability and topics connected with environment. We organise a conference about smart cities in Thessaloniki for 100 people and an Environmental Action Week in the end of February to start involving people in the topic! My plan is to continue working with the EoT Project Team on taking the project to the next level and meanwhile come back to Kraków and help my local as much as I can in organising the Agora. Then I am thinking about a summer travelling adventure with AEGEE! I will be in Lisbon with my friend from AEGEE of course! We are both on Erasmus now and we decided not to go back to Poland for Christmas but spend some time and money on travelling. After organising last year’s famous New Year’s event in Kraków with 150 people we need something calmer. Or at least less crowded. But still with AEGEE spirit to enter the New Year in a good way!